Use for gates with varied widths. 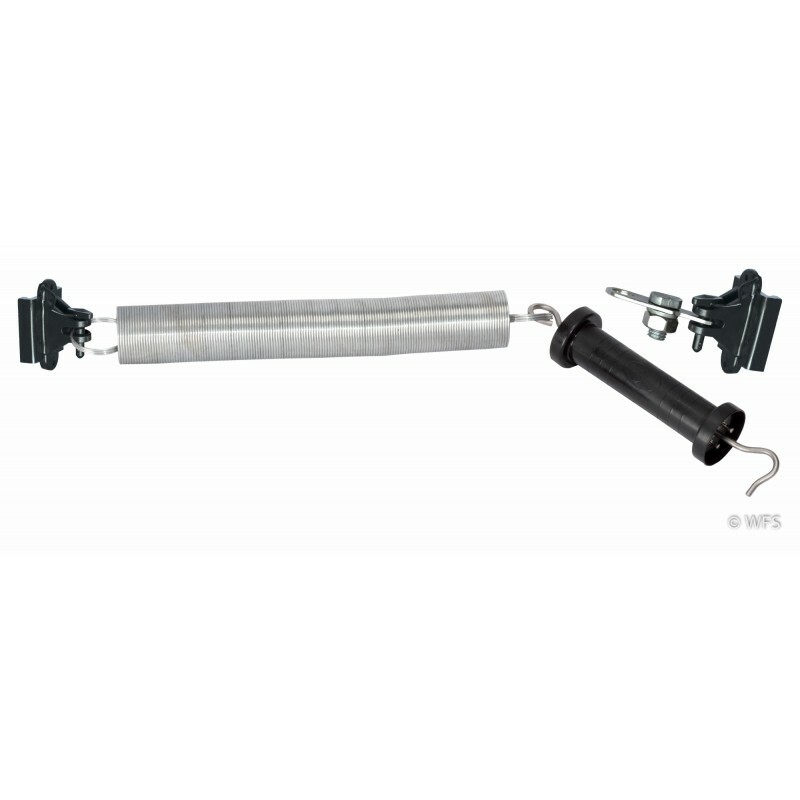 Kit includes galvanized spring, black safe handle, activator and two insulators. Use for gates with varied widths. Kit includes galvanized spring, black safe handle, activator and two PI50 insulators. For use on wood posts or steel T-posts. Available in two sizes, up to 16' wide or up to 24' wide.